Trumptastic Voyage is a YouTube clip where "a close encounter with Donald Trump's hairpiece sends Homer on an extraordinary journey". It was released online on July 7, 2015. After the clip was released on YouTube, several people started posting videos and articles claiming that the season 11 episode "Bart to the Future" predicted Trump's run for presidency. Whilst this was semi-true, since Lisa Simpson said that they had "inherited quite a budget crunch from President Trump", people were claiming that the short itself was from the episode, with the clip being extremely accurate to real life footage. 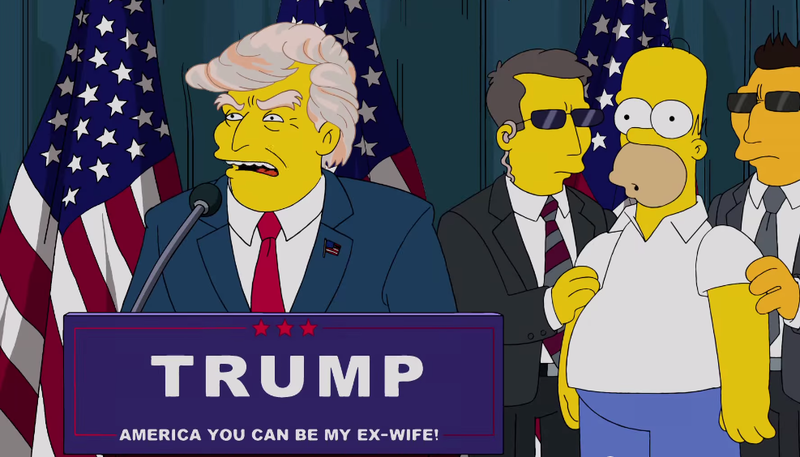 ↑ Snopes - "Did 'The Simpsons' Anticipate a Donald Trump Presidency?"